These days there are some pretty hefty design authorities who've embraced fake flora including fashion giant Carolina Herrera, decor guru Mario Buatta, and legendary Parisian designer Jean-Michel Frank. Even the lobby of Architectural Digest's Times Square office fools visitors with fake greenery. 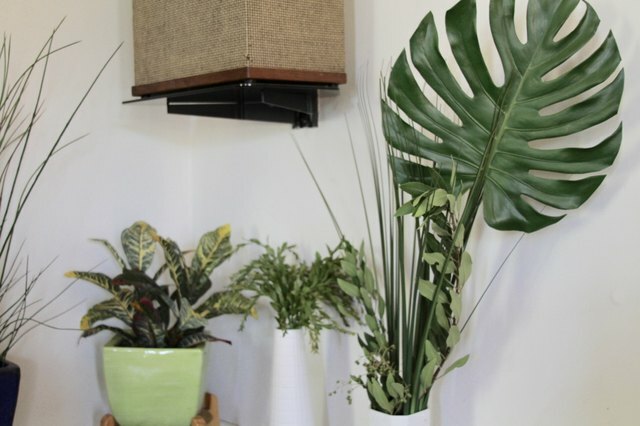 In addition to the design factor, there are a lot of practical reasons why some people can't have real plants around: they travel a lot, they've got plant-munching pets, or they simply have a brown thumb. If you fall into one of these categories, don't give up hope. 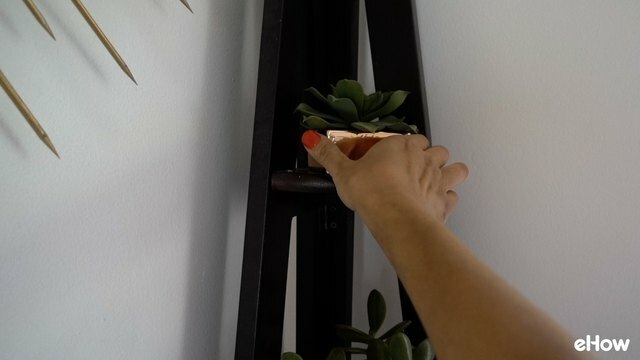 There's an art to artificial plants, and we'll show you a few tips and tricks for how you can make friends with faux-s. If you're going to go faux, I highly recommend that you see the goods in person before you buy, if at all possible. It's important to not only get a close look at the coloring of the leaves and stems, but to also feel them to check for realistic texture and high quality materials. Although high price is a good indicator of high quality -- it's not always the case! 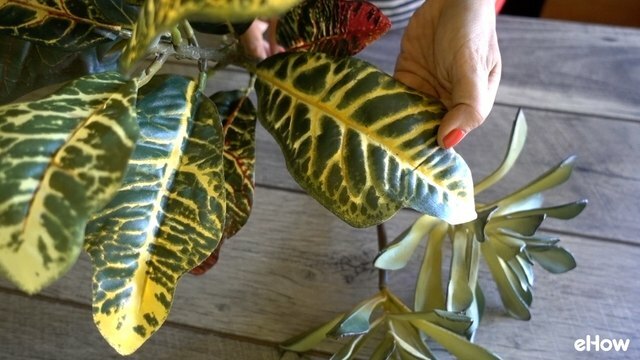 If you find a plant online that looks great in the photos and costs a pretty penny, that's no guarantee that it will live up to expectations in person. Look for realistic color gradations and simulated veins on the leaves. Even monochromatic plants aren't completely flat-toned -- there will be variations in shade on both stems and leaves. Also, some quality fakes have been colored to include imperfections (like partially "dried" leaf edges). Take note of these convincing details! 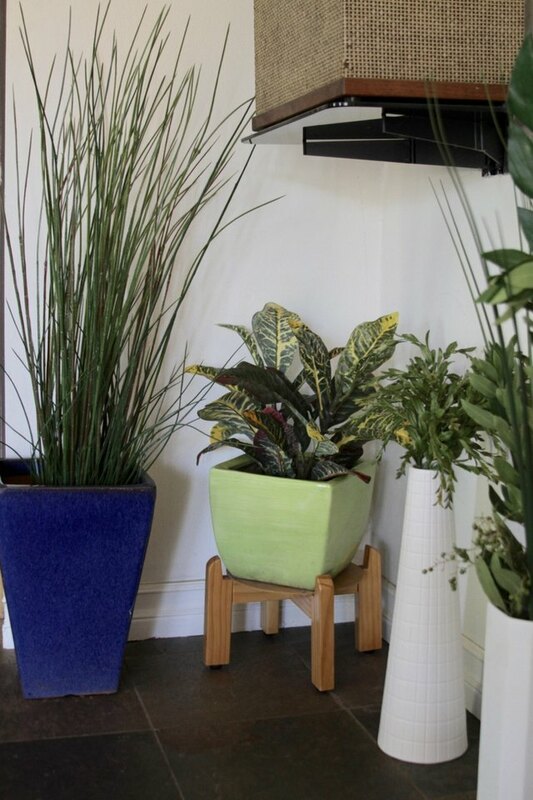 When it comes to faux plants, what usually gives the game away is a fake-looking stem. Examine stems to look for realistic texture and coloring. 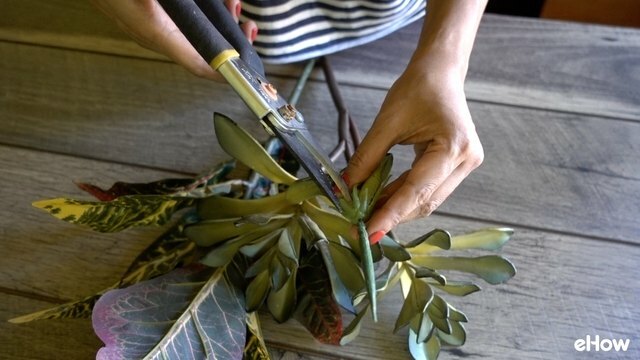 However, if the leaves look exceptionally good, you can easily improve the look of the stems (see Tip #2). If there's a bit of the plant that looks super fake (while the rest looks great), see if you can easily cut that unconvincing bit off before placing it back on the store shelf. I did exactly that with the faux aloe shown below. 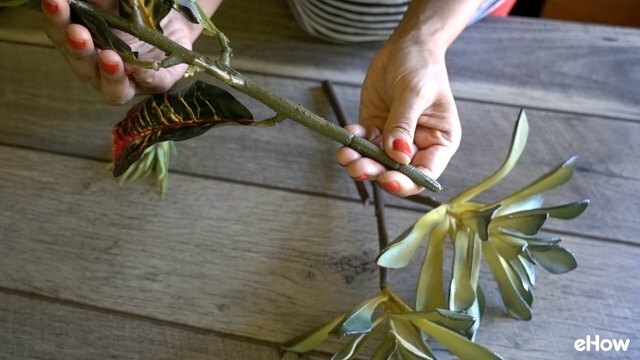 Alternatively, if you can't cut off the offending part, ask yourself if you can easily hide it within the fake foliage or beneath some filler material (see Tip #4). If so, go ahead and buy it! Even if you don't consider yourself the artistic type, hear me out before you skip over this step! 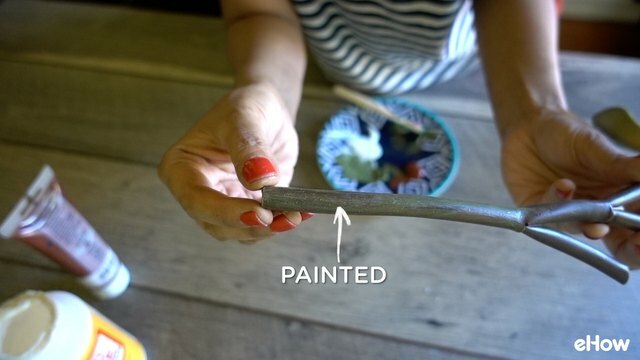 Hand-paint super-fake, plastic-y stems to give them more color and texture -- it's easier than you might think. 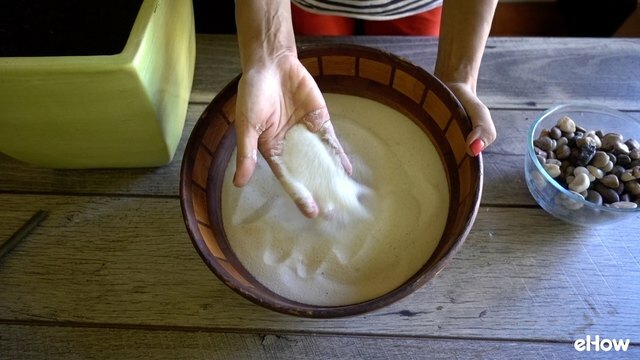 Just grab some green or brown acrylic paint (to match the color of the plant you're mimicking) and, for dimension, add a little bit of a secondary color like light brown or yellow (again, mimic the natural color of the species -- do a Google image search!). 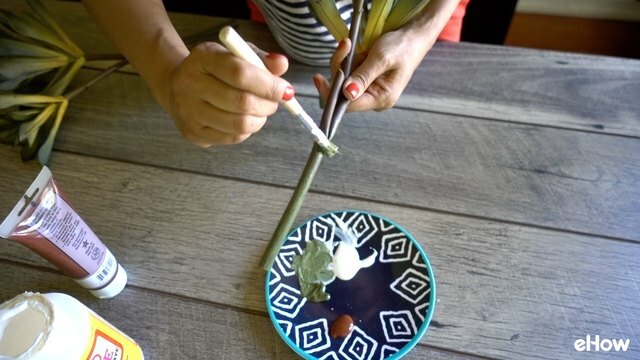 Then, mix each color with a little bit of decoupage medium to make it gloppy, and simply paint thin streaks along the stem. First paint one color. Allow that to dry, then add some streaks of your secondary color. The following images show an unpainted area of the stem and a painted area. Super easy! 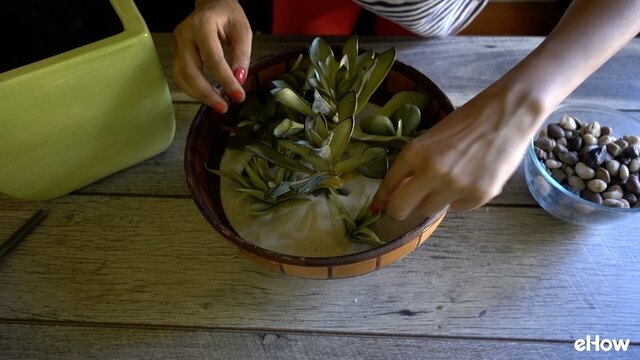 You can also hand paint the leaves (minus the decoupage medium), but that might be a little trickier to accomplish. If you've got the artistic chops and patience, give it a shot! 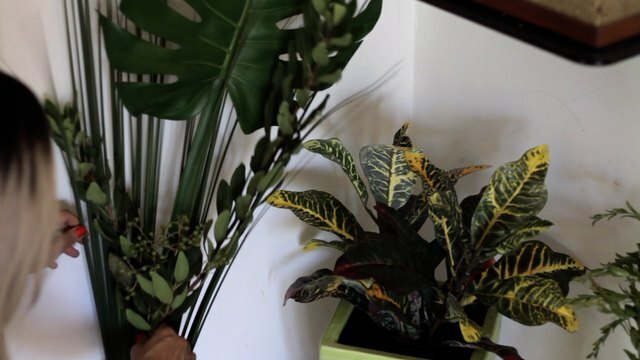 People equate fake plants with "cheap" (which is so not the case as quality fakes can be quite expensive). 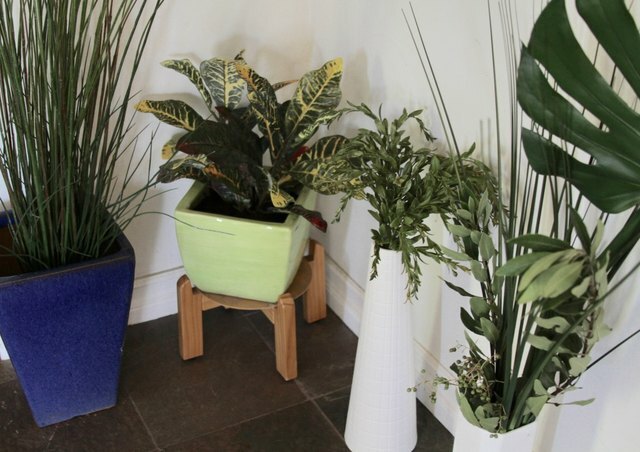 At any rate, to counter this prejudice, you've got to pick high-quality, fabulous looking containers for your faux plants. Specifically, look for interesting shapes, colors, and materials. Just like an illusionist does when performing a sleight of hand on stage, you can divert attention away from the fakery by adding something eye-catching to the mix. 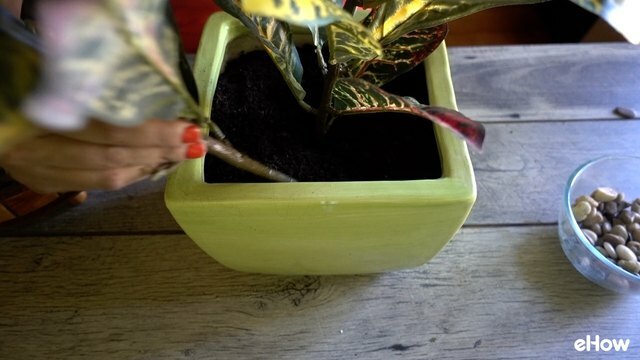 Go that extra step to fool the eye and use real organic materials in your plant containers. 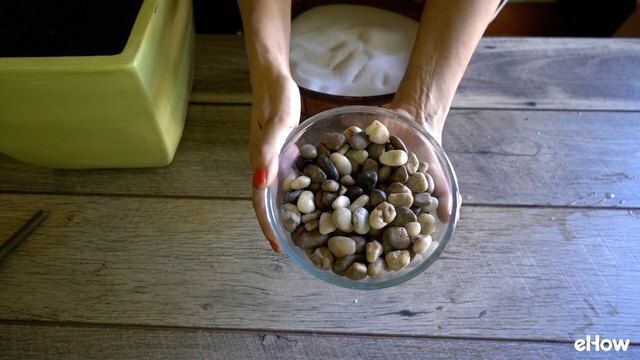 For example, for succulents, you can use smooth river pebbles and sand. Or use real soil or sphagnum peat moss. This simple addition will go a long way to boost believability! Perfect symmetry screams fake, so avoid when decorating with artificial greenery. 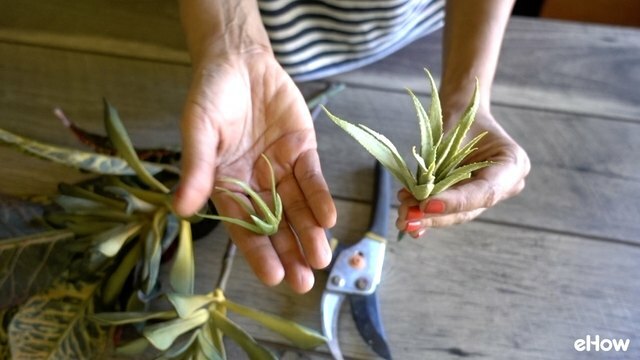 For leafy plants, remove some leaves and stems to make one side slightly bushier than the other. When placing it in a room, make sure that the bushier side faces the nearest source of natural light. 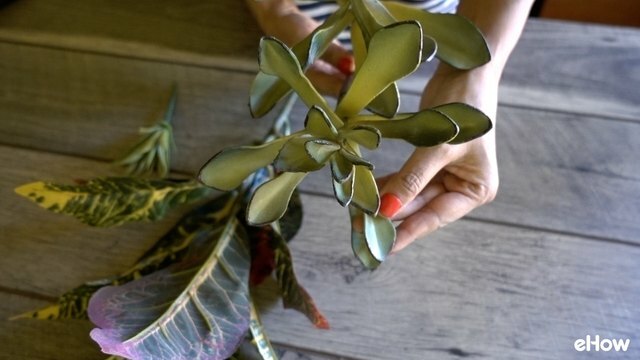 For fake succulents, bend the leaves slightly for some asymmetry, as shown below. When putting together arrangements, make sure not create a perfectly symmetrical design. Con artists know that the best way to sell a lie is to mix it up with a bit of truth. The same goes for decorating with fake plants! You can throw a real potted plant into a group of potted fakes. Or to keep things super low maintenance, put a vase of fresh flowers among your fakes. 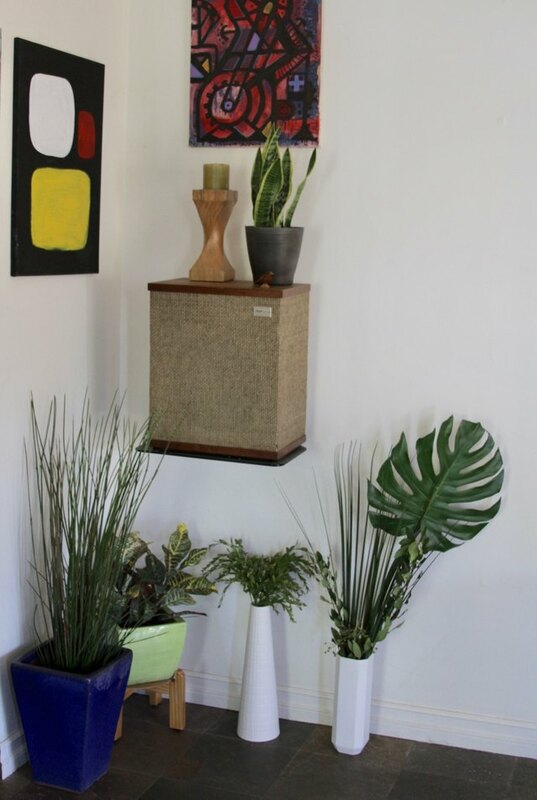 For example, the snake plant on top of the speaker in the photo below is real, while the rest are faux. 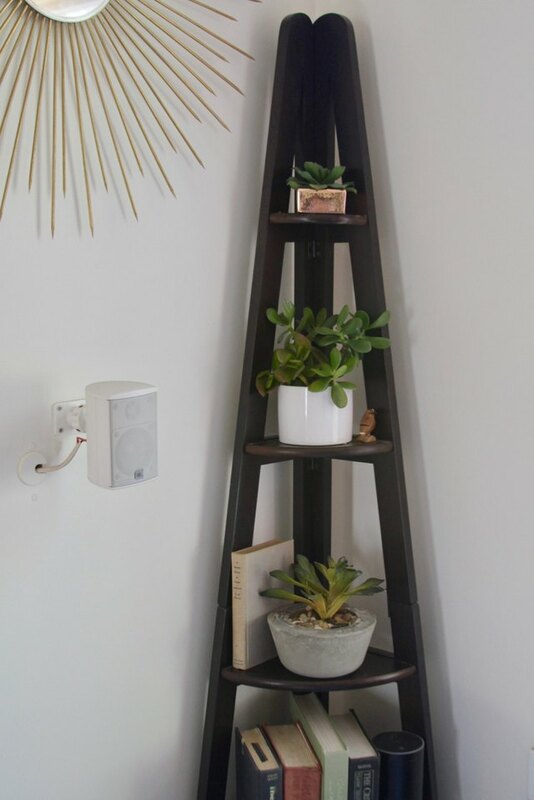 For a super budget-friendly way to add some real greenery to the mix, the next time you prune a tree or bush, take one of the branches and place it in a vase with some faux stems or grass. I did just that with some artificial tall grass and a huge faux monstera leaf (see photo below). When the real branch dries out, simply replace it with a fresh one! Couldn't be easier! Here's an easy rule: find a spot where your plant could plausibly thrive if it were actually real, and put it there. Typically, this means it should be a location that gets some sunlight and not so hard to reach that it can't be watered. Also, ideally, your plants should be placed in an area that doesn't receive a whole lot of close-up scrutiny. For example, a corner shelf placed along the back wall of a room would be great. And there you have it: seven easy ways to enjoy the lovely sight of greenery without having to have a green thumb. You're welcome fellow serial houseplant killers. You're welcome.